Spot Opportunities (Commercial Blog): We are Wired -- In Color! 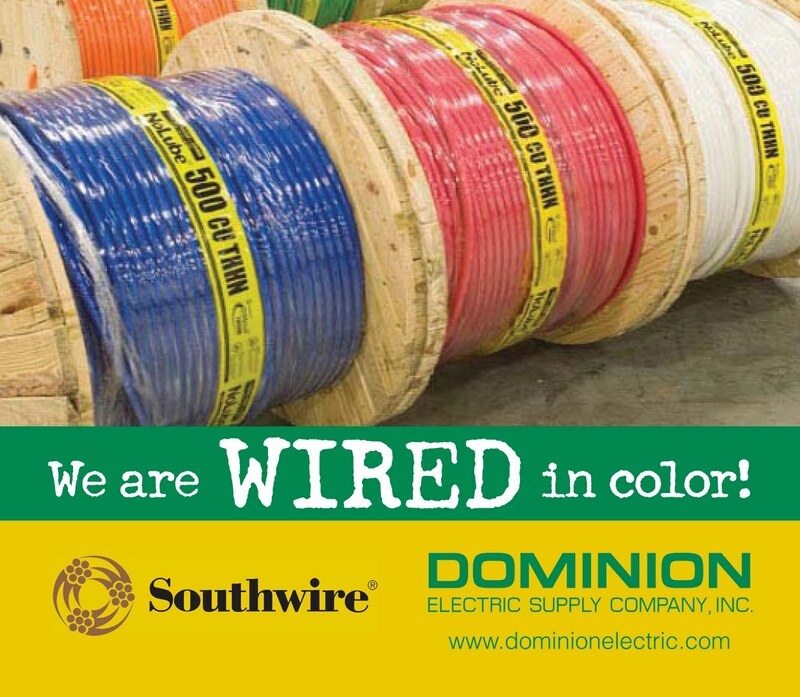 We are Wired -- In Color! Copper Wire in 9 different colors in-stock including Southwire SIMpull THHN Sizes #8 to 750MCM. Colors in aluminium wire also available for your projects upon request. Identify cable and pipe easily, increase productivity and beat competitive pressures. Please contact our Material and Counter departments for more information. Southwire's View & Win Giveaway is now on! Individuals who view the “Time is on Your Side” installation comparison video and enter a code can win a Flip UltraTM Video Recorder or a GPS system instantly. All entrants are also eligible for a random grand prize drawing of a netbook. The contest runs July 10, 2010 through September 10, 2010. Go to www.southwire.com/viewandwinus.htm to enter and to access contest Terms and Conditions. Watch the “Time is on Your Side” comparison video podcast. Enter their name and contact information. They will receive a reply stating if they are an instant winner of a Flip UltraTM video recorder or a GPS system. They will be entered into a random grand prize drawing for a netbook. Contest starts July 10, 2010 and ends September 10, 2010. Limit one entry per person.